Outfit your booth with LED lights … what a bright idea! IMAGINE WORKING 24 HOURS A DAY FOR ALMOST 6 YEARS …. WITHOUT HAVING TO CHANGE YOUR LIGHTS. PLUS, YOU COULD BE ELIGIBLE FOR HUNDREDS IN REBATES FROM YOUR POWER COMPANY FOR SWITCHING TO LEDs! Standard Tools now offers you the option to upgrade your new booth, or outfit your current paint booth, with better lighting. We know you’ll see brilliant results. The LED flat panels weight less than 20 lbs each and are thin, just 7/16″. The 2′ X 4′ lay-in panel will easily fit into your current paint booth’s light panels for an easy transition to LEDs. Available by the panel or in bundles! Save 10% when you buy bundles of 10 or 12 lights. Have questions or ready to upgrade? Visit the site or give us a call at 888-312-7488. They look awesome in a paint booth! The LED lights are not available as explosion-proof. They are upgrades for the typical florescent fixtures. 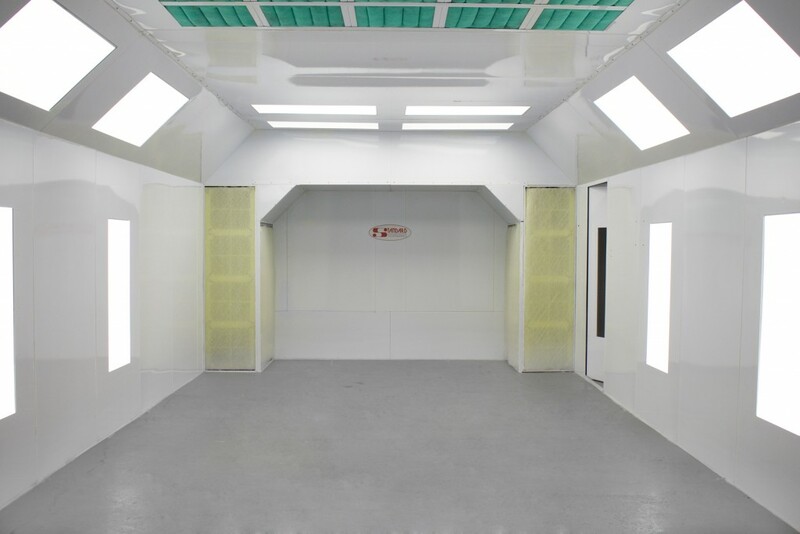 They do meet other requirements for paint booths and offer a softer bright white light. Do the LED bulbs with stand the heat from the bake cycle?